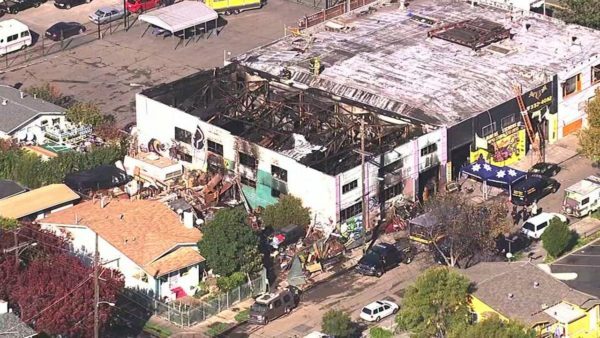 Home Tags Posts tagged with "golden donna"
According to Oakland officials, 30 people were found dead inside the site of the Ghost Ship warehouse fire, and that number is expected to rise. Only about 20% of the building has been searched and “a significant number” of people are still missing, officials said. The safety record of the building is under close scrutiny. There were no sprinklers. The only exit from the second floor was a makeshift stairwell. 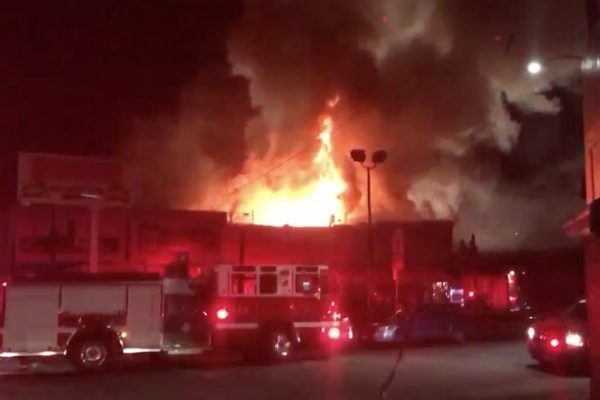 Oakland Fire Chief Teresa Deloach-Reed said between 50 and 100 people were inside the venue when the fire started on December 2. The building did not have a sprinkler system and firefighters did not hear any alarms when they arrived, Teresa Deloach-Reed said. Oakland Fire Dept. Batt. Chief Melinda Drayton said firefighters were going through the debris “bucket by bucket”. “It was quiet, it was heartbreaking,” she said, choking back tears. “This will be a long and arduous process. Melinda Drayton said every precaution was being taken to treat the victims’ remains with respect. Oakland’s Planning Department said it had opened an investigation into the premises last month after complaints from neighbors about rubbish, and of people living inside, against building regulations. One former resident, Shelley Mack, told the AP the building was “like a horror house”, adding that there was no electricity or running water. At least nine people have died and other 25 are missing after a fire broke up at the Ghost Ship nightclub in Oakland, California. According to authorities, the fire started at 11:30PM local time on December 2. The fire became so out of control that at one point all fire units were ordered out of the building. The venue was hosting a concert by electronic group Golden Donna as part of its 100% Silk tour. Local broadcasters said some 13 other people were missing. The KTVU network said about 50 people were inside. The building housed artists in studios, it said. It did not appear to be a formal concert venue. One of the artists who lived in the building, photographer Bob Mule, told the East Bay Times he tried but failed to help a friend get out. “I literally felt my skin peeling and my lungs being suffocated by smoke,” he said. Fire chief Teresa Deloach-Read told the newspaper the building had no sprinkler system. Videos posted on social media by the fire department showed a large fire burning through the roof of the building. Three fire engines were called out. The event’s Facebook page said the event, that featured seven acts, was to be held in a secret location in the east of Oakland that was announced only on the day it was held.